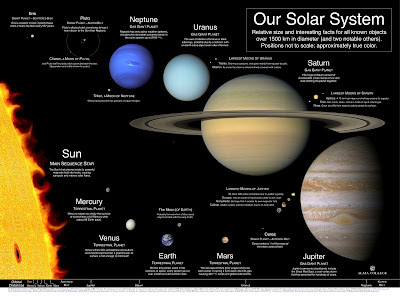 A new mnemonic used to remember the planets in order is, My Very Educated Mother Just Shown Us Nine Planets. The asteroid belt is a zone between the orbits of Mars and Jupiter. Comets are giant snowballs of ice and rock that formed in the outer solar system. Jupiter, Saturn, Uranus and Neptune — all have rings.